I love this time of year when I can delight in all the freshness of local produce with a salad at every meal. 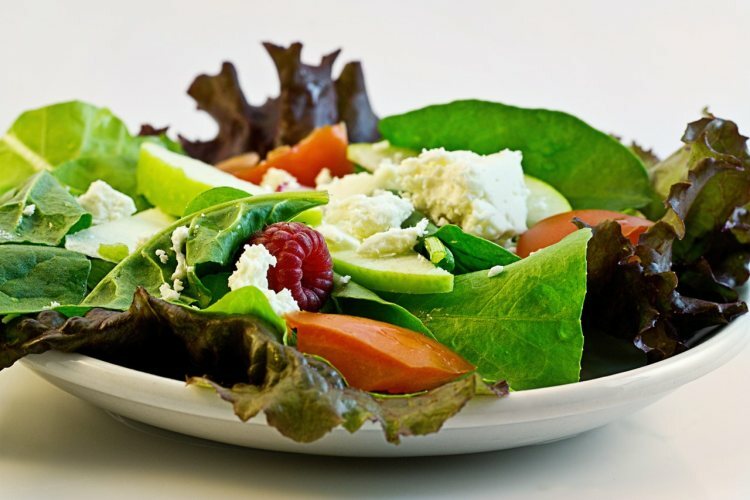 It’s as easy peasy as a green salad made from one or two beautifully vibrant lettuces such as crisp romaine, buttery Boston or green leaf lettuces lightly tossed with my homemade vinaigrette or my husband’s favourite ranch dressing. But there is so much more than lovely lettuce. 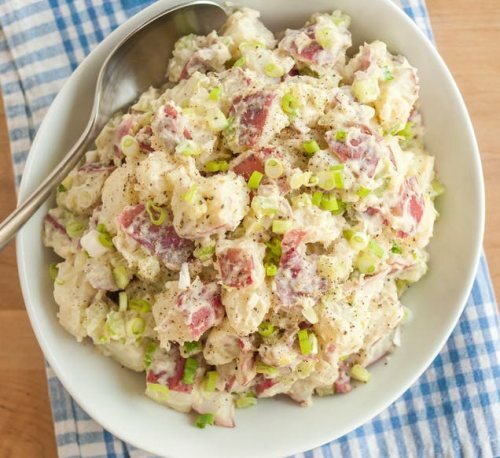 From beets to potatoes, there is such an abundance of food blogs these days that all you have to do is Google the ingredients and Voila! Salad! Here are some of my favourites, using produce you can find at the Aberfoyle Farmers’ Market this weekend. I’m all about the Contessa and this favourite of ours debuted at a family dinner years ago and we’ve never looked back. 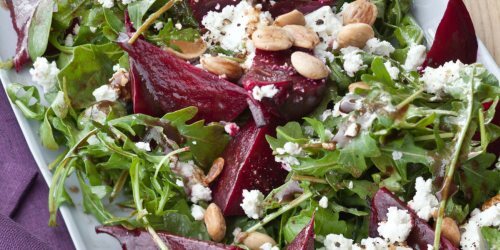 Find the beets at Salad Days Farm and VanDenbroek Farm. Feel free to substitute spinach for the arugula. My step-daughter, who I think is the Guru of Salads, brought this to yet another family gathering and I fell in love with coleslaw all over again. 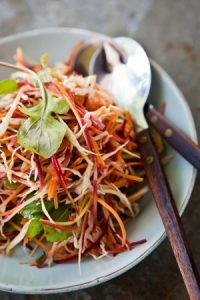 Light, crisp and so beautifully fresh, this recipe is the perfect slaw to make as we see cabbage season arrive. VanDenbroek Farm has a variety of cabbages so take advantage and be adventurous. Rainbow carrots can be found at Salad Days Farm, the pea shoots and many choices of fresh herbs from Terra Verde Homestead. The Burrs and Bees can supply the honey for the vinaigrette. I met Chef Michael Smith at a fundraiser for Sunrise Therapeutic Riding and Learning Centre. He had me at “hello up there” (gosh he’s tall!) 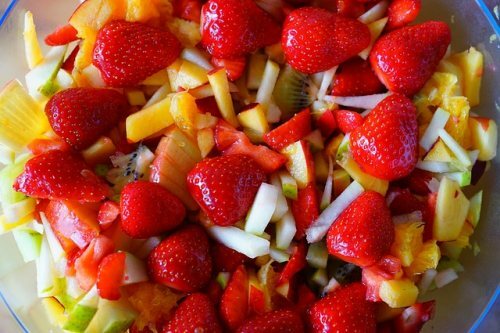 While I’m not sure if you can find twenty different fruits (let me know if you do) Chef Smith himself states at the bottom of this very simple but fabulous recipe “load (up) with every different fruit you can find. They’re all fair game in this salad.” Warner Orchards will be your go to for peaches, nectarines, yellow plums and apricots which sounds like a good start! Mosey on over to the Burrs and The Bees for your honey and while you are there pick up some honey butter available for the first time this season at the market. We had good friends for dinner recently and I wanted to find a recipe for a fresh summer appetizer. 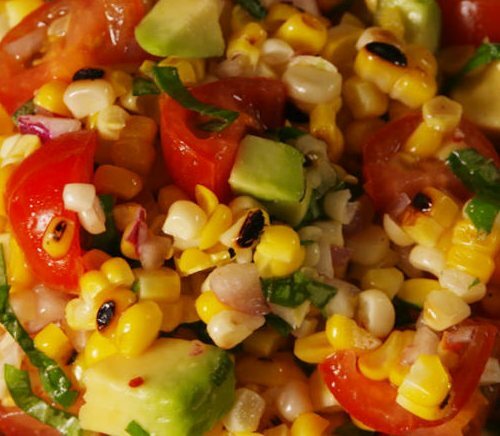 So Google came up with this awesome grilled corn salsa and I couldn’t resist since it was so easy. Plus it uses a lot of ingredients I can find locally so it met my criteria. The bonus here is that I will never boil corn again – grilling it like this on the barbeque is absolute heaven. VanDenbroek Farm will have the corn, grape tomatoes, red onion and basil. I substituted the avocado with cucumber from Salad Days Farm which actually made it even yummier. Come support this local market at the Aberfoyle Farmers’ Market, at the Optimist Recreation Centre’s outdoor pad, 23 Brock Road S in Aberfoyle, next to the Puslinch Community Centre. Saturday, August 12 from 8am to 1pm.